Last year, Monkey struggled with math. She had a hard time keeping math concepts in her head and it was not fun. 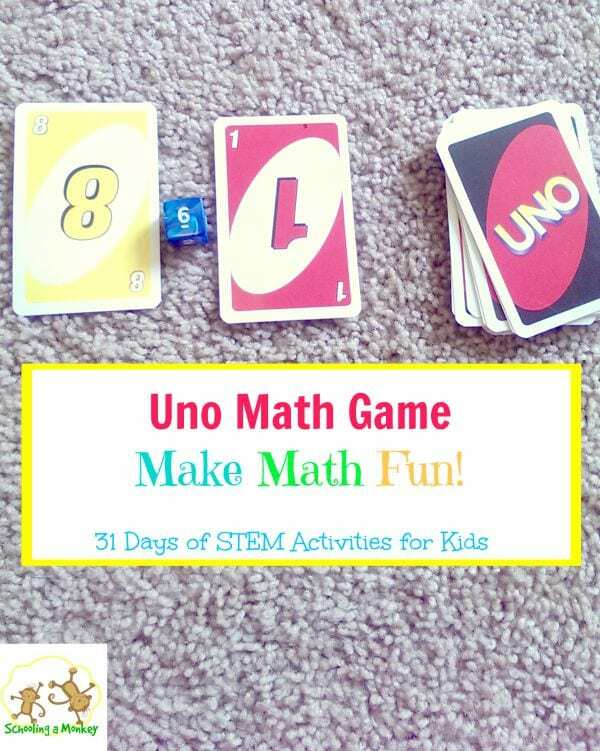 However, when we switched math curriculum and focused on ways to make math fun with STEM activities, she started to enjoy math a lot more. 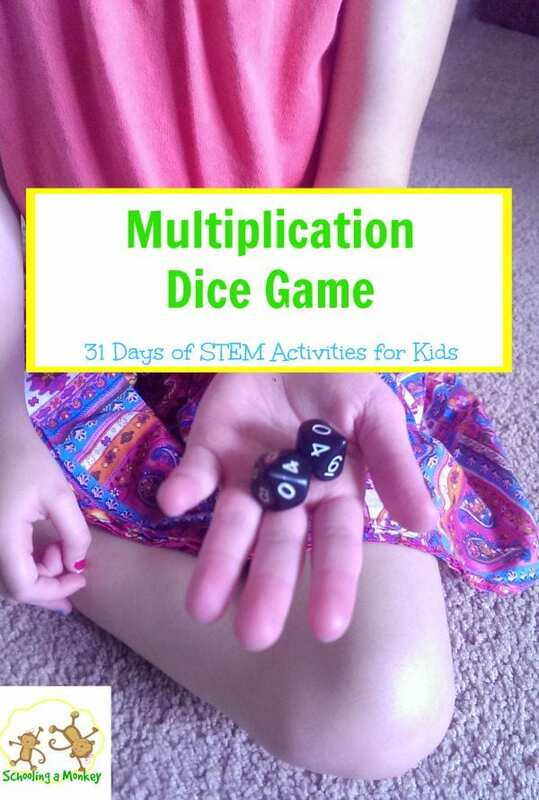 Today, we’re sharing one of our favorite multiplication dice games that we used to learn basic multiplication facts. 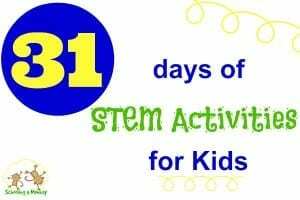 Have you read all the posts in the 31 days of STEM activities for kids series so far? We’ve already finished science, technology, and engineering. Today is the first day in our math section. Enjoy! 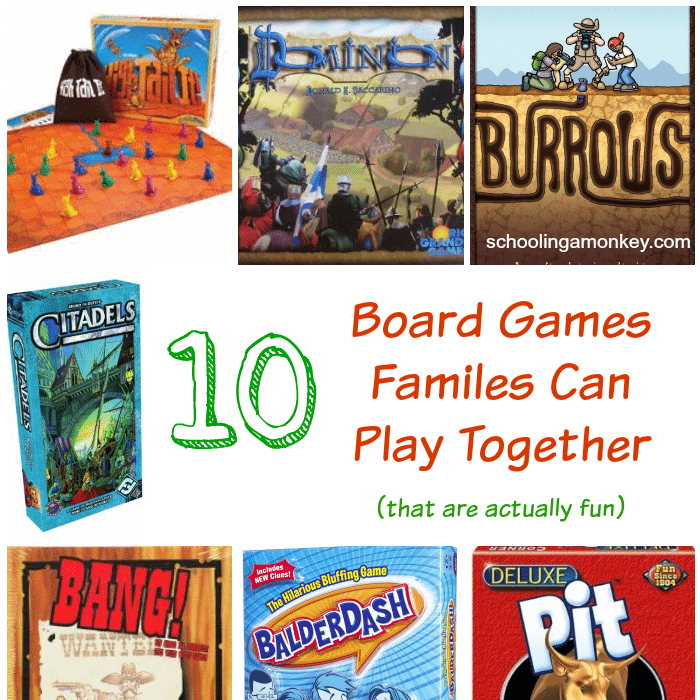 For this game, the rules are extremely simple. 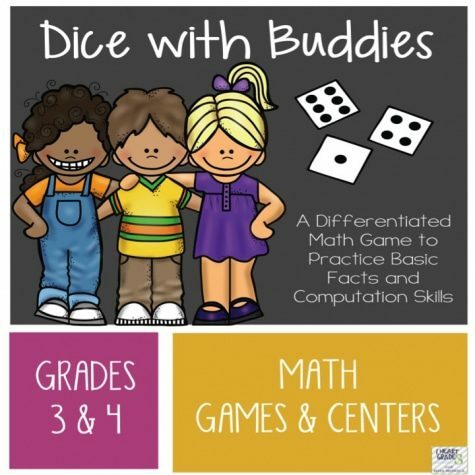 One payer rolls the two dice and multiplies the two numbers together. If the answer is correct, the player gets a point. 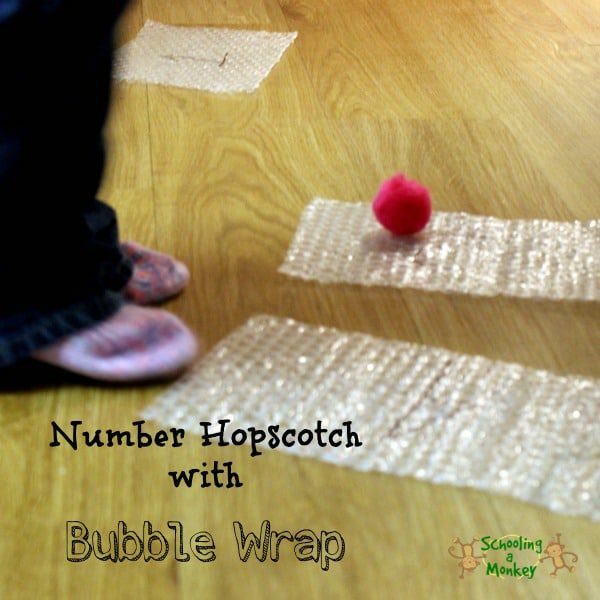 Keep track of points on a piece of paper. The next player then takes her turn, and play continues clockwise. 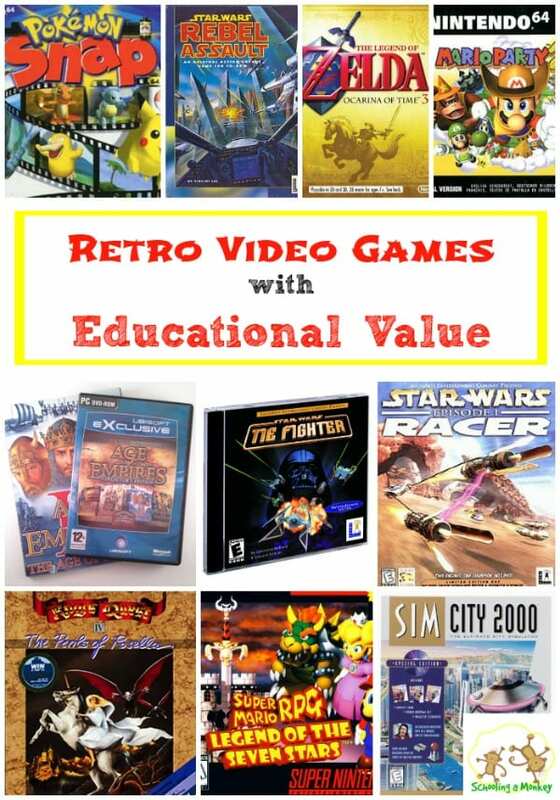 The first person to 10, 20, or 50 points (depending on how long you want to play) is the winner! Since I am a lot better at basic multiplication than Monkey, I gave her the option to “steal” my points. When I answered, sometimes I gave an incorrect answer. If she caught me answering wrong, she received the point. 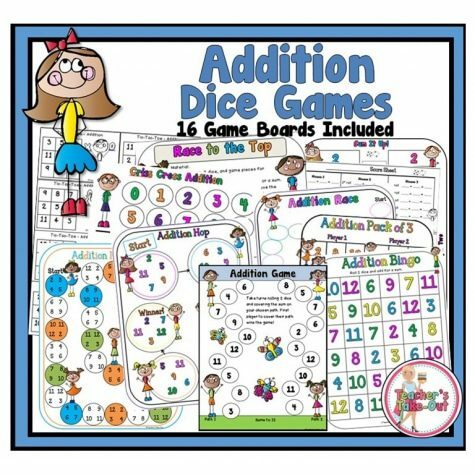 Use die with larger numbers to make this game more complicated once children have mastered basic multiplication facts. We have some D20s that would be perfect for this. You could also try a D10 or even a D100 if you wanted to get really fancy. 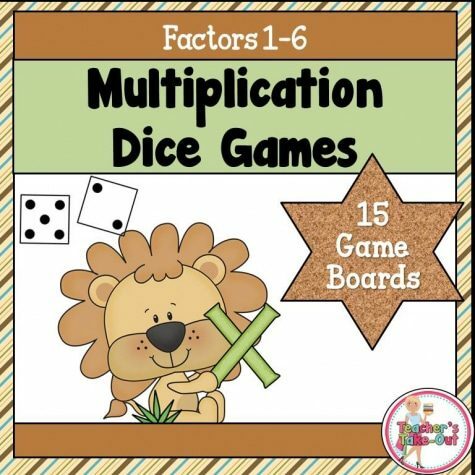 Even though this multiplication dice game was quite similar to multiplication fact practice, Monkey loved it a lot better. She had a good time playing and didn’t really notice that we were practicing her math skills. 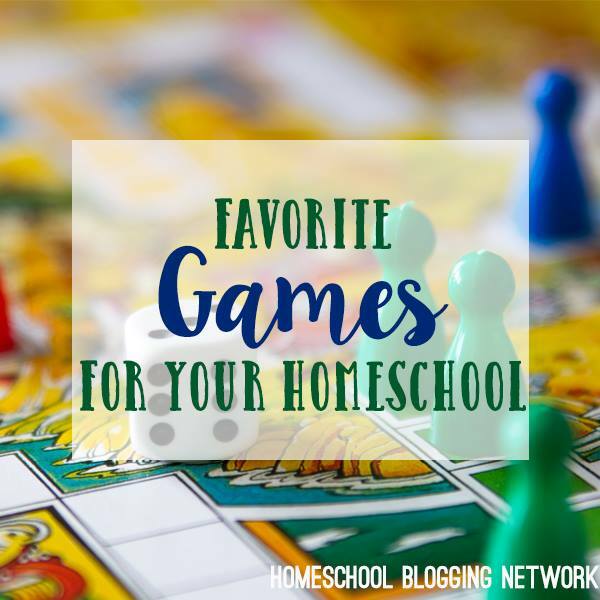 What are your favorite math games for kids?